Readers have called and messaged, saying they were told by the Orange County Supervisor of Elections office that they would be unable to vote in the March 12 election. That was due to an error in the Orange County system which has been corrected. Winter Park voters vote ‘at large,’ not by precinct or district. 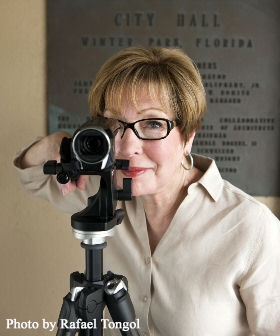 All Winter Park Voters May Vote in the March 12 election. Mail-in ballots are available now. Call 407-836-8683 or 407-836-2070 to request your mail-in ballot today. Winter Park has only been in Orange County since the 1800’s, so it’s understandable that the Supervisor of Elections forgot that Winter Park has never had district City Commissioners. Remember, this is the same Supervisor of Elections who will tell us who the winner is on Election Day. The accuracy or lack thereof of official election results is the core issue at hand in Winter Park and always has been – the cause of every problem Winter Park residents have with their City Commission. This is what The Voice doesn’t want you to read. 1) Did you vote in the City Commissioners election? 2) Did you vote in person or by mail? 3) Who did you vote for? And then compare these responses with what the Supervisor of Elections wants Winter Park residents to believe about the election results. Without such a test, Winter Park residents can be assured that once again this year, their City Commissioners will be appointed by those who rule in the shadows, and without regard to the will of the people’s votes. But you will never read this, because The Voice has censured it so you will remain ignorant about how things work in Winter Park.